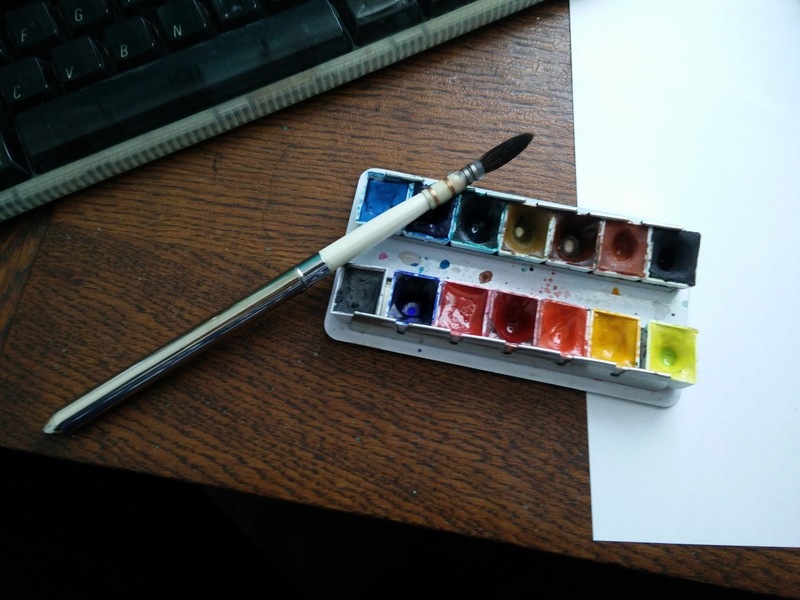 Dries Moonen: Rainy day and a new brush. Yesterday was (as are most of the lately) a very wet day. So drawing outside was outside the question. Luckily there is the Central Station. A big part of it is more a shopping mall. So I propped up my little seat there and drew the view. On other news: I got my new brush on monday! It's a Rosemary & co R9. I got this brush recommended by the blog of the lovely Jane Blundell. - Holds insane amounts of water. - Has a fine point. - Is big enough to fill large areas. I needed to get used to it though. It behaves a bit different from my previous synthetic one.